UPDATED SUPER LITE FUEL MIX! 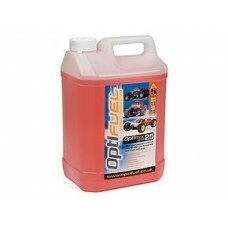 All Optifuel Race blends have been reformulated into the exclusive Super Lite blend, featuring an all-new thinner oil for lower viscosity, to give you improved performance in all conditions! Since the original release of the Optifuel RTR and Race fuels, the Optifuel team has been refining and perfecting the fuel mix with Europe's top racers to provide a fuel that is more efficient, extra-stable and very tunable for racers at all levels. The Super Lite fuel blends will give you improved cooling over the original Optifuel blend, faster throttle response and easier fuel flow from tank to engine. Super Lite fuels are extremely thin - the original Optifuel was already 4 times thinner than traditional nitromethane fuel blends, and the new Super Lite fuel is 10 times thinner than that! 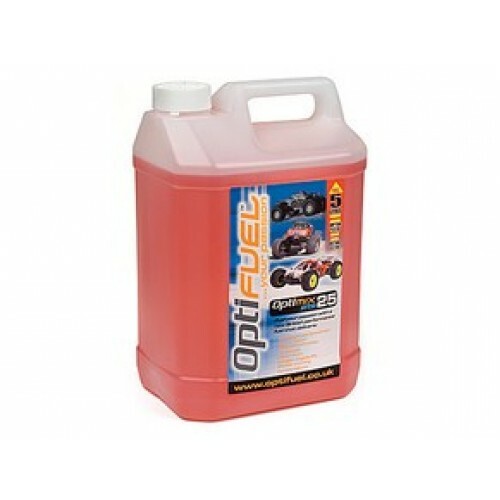 Finally, the film strength of the Super Lite fuel is the same as before, so the lubrication and protection characteristics are unchanged from the original amazing Optifuel mixes. All the part numbers remain the same so you can order the same fuels as before.